By far the best selling of my eBooks available on this site is Performance Bowling Greens; it out sells all of the others by 10-1. Bowling green performance can seem a bit sketchy and hard to tie down to any sort of measurable parameter, but that's more to do with the lack of a joined up approach to the subject in the industry than it is a lack of measurable components. 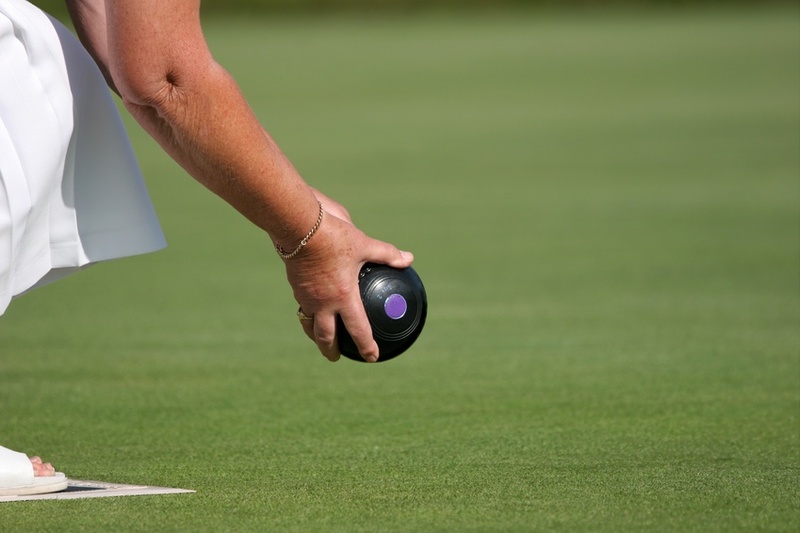 This article introduces the subject of the Performance Evaluation of the Bowling Green. 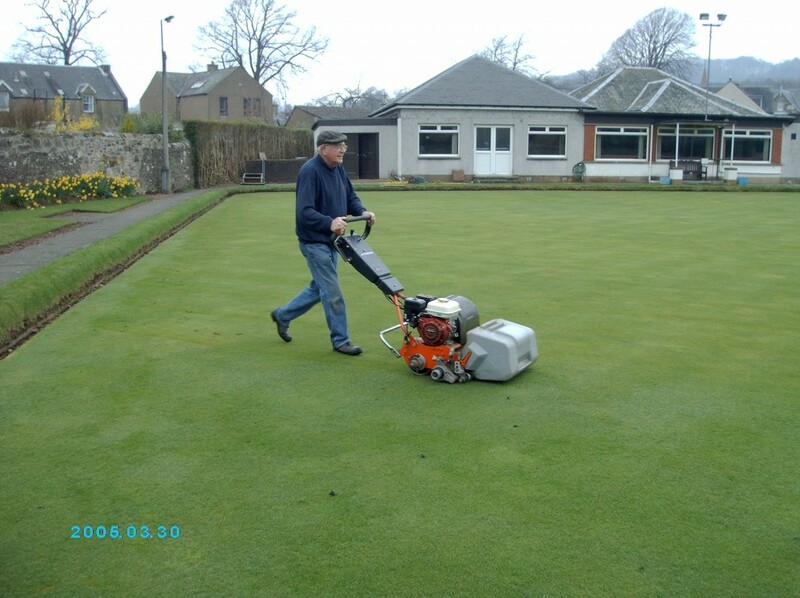 The watering of bowling greens is one of those critical issues in bowling that splits opinion across the game. Some purists would see no artificial watering of greens regardless of how dry the weather gets. Some are in favour to different degrees; some would argue that the green should only be watered enough to keep it alive, while others demand that the green be watered heavily and often to keep it green. For me the critical issue is as always performance. We can argue about the right way to water or not water greens until the cows come home, but green performance is the only measure we should really be worrying about and that means we need to deal with individual greens on an individual basis. A very general title for today’s article, but it reflects the current industry desire for a fix all solution to achieving a good bowling green. 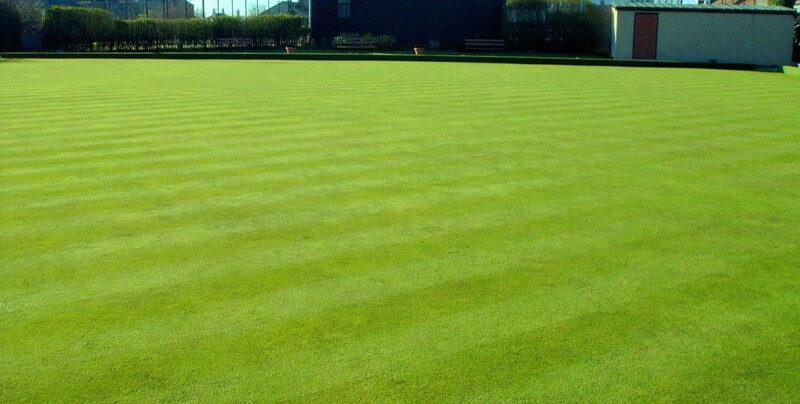 Most clubs are unhappy to some extent with the performance of their bowling greens. This leads to an open ended search for solutions where the searcher i.e. 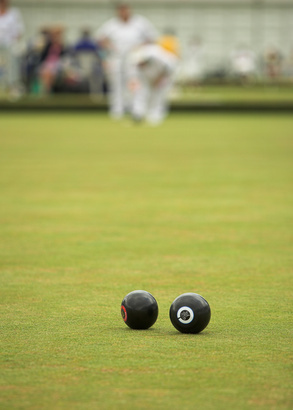 the bowling club or bowling club management official simply looks for information from whatever source to help with the perennial problem of the bowling green. 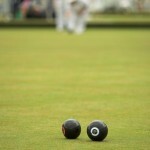 What bowls green maintenance should be carried out before a game? Concentrate on minimising lateral grass growth for greater speed and smoothness. OK, so this is probably a bit late for this year, but keep a note of it for future reference. This has been a popular question on the site. Green speed is hampered by excessive thatch build up, which saps some of the momentum of the bowl, so although there isn’t much that can be done about this 5 minutes before the match starts, making thatch reduction and control a major part of the maintenance strategy will help a great deal. 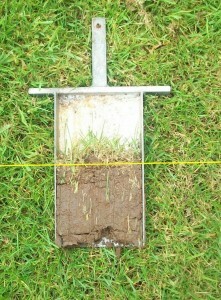 The other major problem in achieving speed is the control of lateral grass growth on the green. 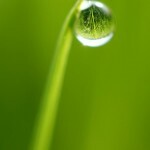 This is when grass grows along the ground instead of straight up. The grass plants develop this tendency in order to avoid damage from the mower blades. It’s an evolutionary process; the grass plants that grow this way survive to create more vegetative growth. So we want to discourage this habit and promote survival of the more upright plants. To do this we can employ regular grooming, brushing and verti-cutting. Using the groomer set to 1.5mm above cutting height for the cut immediately before the game will help a lot with this. The groomer attachment on your mower is designed to tease up lateral growth just prior to being cut by the cylinder. If you don’t have a groomer on your mower you can usually fit a static brush just behind the front roller and this can also do a good job of teasing lateral growth to the upright position prior to cutting if set properly. Green speed is always a hot topic at this time of year and the most popular methods for achieving increased speed are usually to turn off the water and set the mower down; both of which can cause long term damage to the green. Mowing the green regularly below 5mm can really start to harm it in terms of sward composition, drought resistance and general turf health. 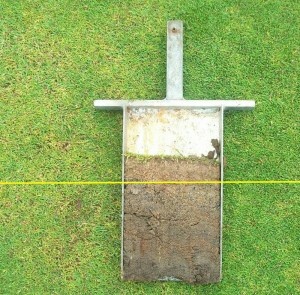 Rooting depth is directly proportionate to the amount of leaf that remains above, so at the very time that the turf needs deeper roots to seek out deeper lying moisture, we restrict its ability to put down roots by shaving the leaf off to within a millimetre of its life! Shaving the green too low can cause irreversible damage to the crown of the grass plants, which causes bare areas or at least areas of weakened turf, which will inevitably be taken over by meadow grass, weeds and/or moss. The other big mistake that many clubs make is to turn off the water in an effort to induce greater green speed. Although droughting will rarely kill a green off completely, we are seeing some very high temperatures this summer and it is possible that greens will fail if not given enough irrigation. But that’s another story which you can read about here. So, what can be done to increase green speed without causing damage to the green? Well, to really get the speed up we need to be thinking about reducing the lateral growth on the green. There are a number of factors that can help to increase green speed and consistency for play and we’ve set them out in our guide which you can find by clicking here. Today however, I want to concentrate on lateral growth and its affect on green speed. On many greens I visit I am told that the green is being cut at 4mm and that the members are still complaining about the green being heavy! On most occasions when confronted with this, it is possible to take the palm of your hand across the turf and tease some of the grass up to 10 or even 15mm in height!…now think about that for a minute; how “heavy” would the green be if cut at that height? This phenomenon is due to a problem called lateral (or sideways) growth where the grass plants exhibit a recumbent growth habit and don’t stand up straight, meaning that they are not cut at the required height. regular verti-cutting; I would suggest twice a month between April and September. Verti-cutting does exactly what it says, it cuts vertically through the turf surface to slice up lateral growth and tease up the turf prior to mowing, which is usually carried out straight after a verti-cut operation. use of groomers on the mower; again a very useful operation to be used sparingly. On many of my visits I see groomers being used as verti-cutters with the blades set well into the turf. You should never do this, as it can cause a lot of turf damage and even greater damage to the mower as it can put it under a lot of strain. Groomers are designed to be set slightly above the height of cut, to simply tease up the lateral growth or “nap” prior to cutting. brushing the green prior to cutting can improve the green speed also by teasing the grass up from its lateral growth habit prior to cutting. There are many more tips on green speed in our green speed section here. 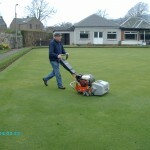 Whatever the season, mowing remains the most important job in the maintenance of a Performance Bowling Green. Often overlooked due to the everyday nature of the task, there is a lot more to mowing than meets the eye. It is particularly important to follow the correct mowing regime to ensure green consistency and speed. More detailed information on green speed and consistency here. At this time of year in the run up to the new season, it’s especially important that we get the mowing program right. 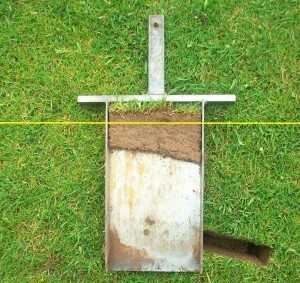 During the winter the green surface should have been maintained at a mowing height of around 8mm. In very cold winters, you will see some recession in height and this is difficult to avoid. However, in mild winters, like the one most of us have had this year it is quite normal for the green to keep growing throughout the winter months and this growth needs to be kept in check to minimise the outbreak of diseases and other problems associated with lush winter turf. Now that the new bowling season beckons we need to gradually lower the cutting height and I would suggest taking it down to around 7mm this month, aiming for 6mm by opening day and 5mm by the end of May, all dependent on soil temperature and prevailing weather; we can still be in the grip of icy cold winds at Easter. Mowing frequency will be dictated largely by growth rate, but once a week now should be the minimum, bearing in mind that you don’t want to be removing more than a third of the leaf at any one time. So, if the green is growing vigorously, then more frequent mowing will be required. Of course its tempting to keep the work to a minimum, but mowing will also help to lightly roll the green surface, so it might be beneficial to mow more frequently than is actually required. The most important factor in mowing is ensuring that the mower is razor sharp and that there is zero contact between the blade and cylinder to give the cleanest and least damaging cut to the grass leaf. More detailed information on mowing can be found here. Tomorrow we will look more closely at the pre-season renovation work required on the green, with a look at some do’s and don’t’s. During dry and hot weather the need to water your green properly can’t be over emphasised. Although it can be tempting to let the green burn to achieve speed, this can turn to disaster and cause the green to fail later in the season. So what is the right way to water your green?